'Roseanne' Reboot Wraps A Bait-And-Switch First Season The reboot's premiere whipped up a media frenzy when its main character returned as a passionate Trump supporter. But this season didn't embrace Trump's ideology the way some thought it might. ABC's Roseanne reboot stars (left to right) Laurie Metcalf, Ames McNamara, Jayden Rey, AliciaGoranson, Emma Kenney, Roseanne Barr, John Goodman, Michael Fishman and SaraGilbert. What didn't happen was what some pundits feared when the show debuted: ABC positioning a hit TV show to embrace and normalize what they believe are the worst aspects of Donald Trump's ideology. Instead, star Roseanne Barr used her personal support for the president and the character's admission she voted for Trump to pull off the TV season's most masterful head fake. ABC Entertainment President Channing Dungey told me last week the show has no plans to revisit its Trumpian conflicts next season. "I think [the show's writers] are going to continue on the path that they were on toward the latter part of this season, which is away from politics and more focused on family," she said during a conference call, essentially acknowledging the bait and switch in a torrent of TV executive speak. Still, the new season whipped up a media frenzy, especially among outlets that thrive from polarizing political conflict. The reward for ABC: 25 million people watched that first episode over three days. And Roseanne fans who remembered the original show, when it stood for tolerance and a hard-headed opposition to hypocrisy, eventually got their dose of TV nostalgia — at least, if they stuck around through the bickering in the first episode between Trump voter Roseanne and her Clinton-loving sister, Jackie. Reviving Roseanne Conner as a Trump supporter never made much sense to me, anyway. In the original show, Roseanne was always calling out men over the kind of knuckleheaded, entitled behavior that Trump embodied in the infamous Access Hollywood video. Why would she suddenly overlook actions like that now? Mostly, I never bought the Roseanne-as-a-Trumper twist because a core theme of the original show was the family's contempt for hypocrisy, especially when it came to people with money looking down at those with less. Roseanne once delighted in tormenting every awful boss and highfalutin yuppie she came across, and it's tough to believe she would suddenly disregard similar behavior in a guy she was voting to elect president. It's true there are likely real-life voters out there with similar thoughts on race, gender and class, who voted for Trump, anyway. But this turn surprised me because I always thought Roseanne understood the "okeydoke." In my neighborhood, we reserved that title for only the most brazen con or trick. And the okeydoke that classic Roseanne understood, with painful clarity, was how power brokers used race and culture wars to keep working-class people of all ethnicities divided against each other. That's why it was so powerful back then to see episodes about gay people, racism and sexism wrapped up in a sardonic comedy about a working-class family in Illinois. The show was saying that groups once separated by homophobia, racial stereotypes or gender bias had more in common than TV — or society — often acknowledged. Making Roseanne Conner a passionate Trump supporter in the face of all that — especially when the reboot barely examined why she made the choice — just felt like a cop-out forced by the fact that star Roseanne Barr supports the president in real life. The reboot's inaugural season also had problems way beyond politics. At times, it seemed the truncated season forced producers to cram way too much story into individual episodes. Tuesday's show wrapped up a storyline where Roseanne was addicted to prescription drugs and needs a knee operation, forcing Dan to consider hiring undocumented workers at his company to make more money. It resolved everything so quickly, you might get whiplash taking it all in. 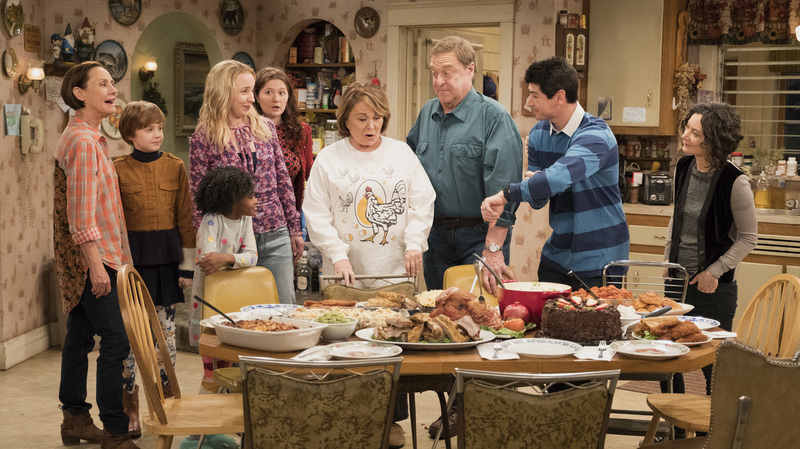 ABC seems to have placed Roseanne at the center of its fall strategy, despite signs the reboot's phenomenon might be cooling. According to Nielsen figures, the May 15 episode drew 10.7 million viewers that night — a strong performance, but down nearly 50 percent from the numbers for one night's viewing of the debut. As a fan of the old Roseanne, I think the reboot can recapture the subversive, truth-telling spirit of the original. But it needs to leave the head fakes alone and take its time with stories that better reflect how the original series tackled life in Middle America — while always keeping a clear eye out for the latest okeydoke.